The all-volunteer Board of Directors plays a critical role in the day-to-day operation of the Hoffman Center—helping ensure financial stability, good governance, and making certain our volunteers have the tools and processes they need to provide the wide variety of programming we offer. Learn about the other volunteers—our Program Leads—who make the Hoffman Center hum. After a 25 year career in bank marketing, most recently in executive management, Wildauer moved to Manzanita full time in 2006. 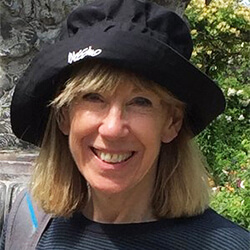 In 2008 she co-founded the Manzanita Writers’ Series, bringing regional authors to the coast for readings and workshops and encouraging local writers to share their work during Open Mic. In 2009, she joined the board for four years. She worked to expand the Hoffman Center’s marketing efforts and managed the Hoffman’s blog site. She also generated press releases and flyers for literary and other events. In early 2012, she co-founded the North Coast Squid , a journal of local writing and art, to further develop the writing community in North Tillamook County. Her board experience includes eight years as board member of a mental health non-profit in Everett, WA; where she served as board president for four years and chair of the public relations committee. Fun Fact She lives with her husband and cat in what had been her family’s beach house since 1975. Toni’s passion for the visual arts accelerated when she retired after 35 years in financial and general management. Although she is a part-time Manzanita resident, the Hoffman Center for the Arts has fueled that passion. 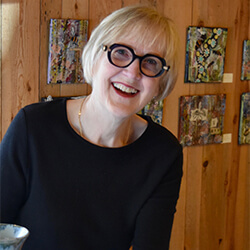 Toni and her colleagues on the Visual Arts Committee are dedicated to raising the Hoffman Center’s visual arts profile on the Oregon Coast by increasing the quantity, quality, and diversity of visual arts programs and workshops. Toni’s management career spanned a range of for-profit and nonprofit organizations, including CEO of Portland’s Dove Lewis Emergency Animal Hospital, chief administrative officer of law firms in Oregon and California, and president of the International Association of Legal Management. Her civic engagement included board memberships on the City Club of Portland, Reed College Women’s Committee, and as a founding board member of the Columbia Riverkeeper. In addition to art, Toni is passionate about traveling, gardening (she’s a Master Gardener) and walking her dogs on the beach. For nearly 40 years Marc lived and worked in Boise, Idaho as a broadcast journalist, press secretary and chief of staff to Idaho’s governor, and as owner of a regional public affairs and communications firm. 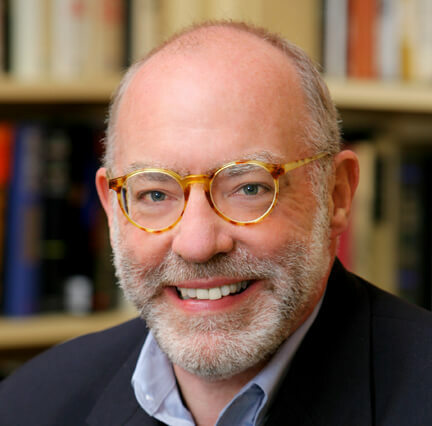 A long-time advocate for the humanities and civic education, Marc served as chair of the Idaho Humanities Council and the Federation of State Humanities Councils and has served as a National Endowment for the Humanities site visitor. He chaired the board of the Boise Public Library and currently serves as vice president of the North Tillamook Library Friends. He also serves on the board of the Nehalem Bay Health District. His writing has appeared in numerous regional and national publications, and he has taught courses on politics and history at the university level. He is the author of a political biography of Montana New Deal-era Senator Burton K. Wheeler. 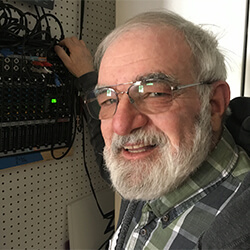 As a broadcast journalist, Marc has interviewed politicians, writers and artists, including the environmental writer Edward Abbey and Presidents Gerald Ford and Jimmy Carter. Sharon worked 15 years as a healthcare executive, including three as Senior VP for hospital operations, and 12 years with a Fortune 100 company as healthcare operations and technology consultant. Gibson also worked multiple years as a board member and officer on related healthcare boards and councils. In the nonprofit world, she served five years on the board of a children’s healthcare charity, including two years as PR Director and two more as Board President. Gibson has volunteered for three years in the Hoffman Center Clay Studio. 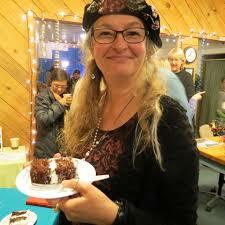 She has also served two years on the board of the Tillamook County Cultural Coalition including a year as its Chair. Sharon and husband Steven, as members of the Maritime Archeology Society, collect artifacts relating to the local Beeswax Wreck. During his 21-1/2-year career as a Navy officer, David specialized in minesweeping, gunnery, and public affairs. In the latter field, writing was essential and he applied that talent to serve as the editor of our local newspaper—The North Coast Citizen. After retiring from the Navy, he worked as an account executive for a public relations firm, and a marketing manager for an educational software company. He has dabbled with the arts since his earliest years—particularly music, photography and writing. He played in school concert and marching bands from third grade through college. A still and motion picture aficionado, he got his first camera at age nine. David is a great fan of classical music—particularly Italian opera. He recognizes the value of exposure to and involvement with the arts to people of all ages, especially the young. He serves as the Hoffman Center’s building manager and audiovisual specialist. He also leads the Film Program. David is an original Center board member and was a personal friend of the Hoffman Center’s namesakes—Lloyd and Myrtle Hoffman. He is married to a multi-talented artist. For two years during his military career, David served as the Navy’s Hollywood Liaison Officer, and has many stories to tell about that experience. 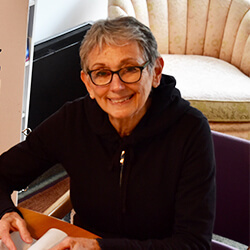 A veteran of 40 years of teaching, Marcia moved to Portland in 1992 to work with Kim Stafford’s Northwest Writing Institute at Lewis and Clark College. Her first visit to Manzanita was for a NWI faculty retreat. She bought a cabin in 1997, eventually making it her home in 2013. She has worked all her adult life as a teacher of writing at colleges and universities. For her the most satisfying aspect of that work has been supporting students and faculty with individual writing projects they then carried into the world. 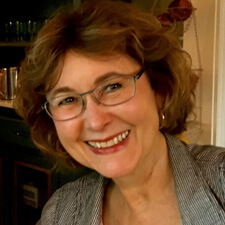 She has also served as secretary for the North Tillamook County Library Board and as consultant in writing for businesses, nonprofits, and individuals. Marcia and her husband renovated a 19th century Brooklyn brownstone in New York City and raised two daughters in it. Marcia congratulates herself on landing in the “little apple” from the Big Apple. 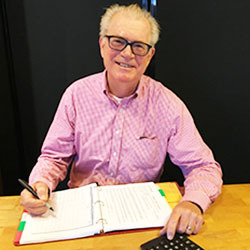 Mark’s 35-year career with the Bonneville Power Administration included stints in energy demand forecasting, planning and budget, financial analysis and revenue requirement, and strategic planning. In the nonprofit world, Roberts served on the Neahkahnie Water District board (president) and Portland’s Hoyt Arboretum Friends (president). He is currently on the Board of the North Coast Food Bank and is appointed to the Tillamook County Planning Commission. As the Hoffman Center treasurer, Mark provides financial analysis and has a side-gig of working on various facilities projects. He is also one of several “staff” photographers. While living in Colorado (after a childhood in Los Angeles), Mark formed a life-long love for the outdoors. His annual week long backpack trip into the Grand Canyon provides year round incentive to keep on walking! “Art is an integral part of a healthy, thriving, happy community and the Center offers wonderful opportunities for creativity,” she said. “I’m thrilled to serve at such an exciting time. The board is focused on serving our community even better while keeping the Center accessible.” Roberts joined the Hoffman board in Nov. 2017, after becoming an active volunteer and participant in the Clay Studio and overseeing improvements in the Center’s Gallery. Roberts earned a degree in Business Administration with an emphasis in management from Portland State University. From 1995 to 2005, she served as CEO of Rejuvenation Inc. in Portland. Prior to that, she was Chief Operating Officer for Hanna Andersson, also in Portland. In the non-profit world, Roberts has served on the boards of the Women’s Foundation of Oregon, the Bicycle Transportation Alliance, the Natural Step Network, Transition Projects, Artist’s Repertory Theater, the New Rose Theater, and Northwest Business for Culture and the Arts. Fun Fact Mary is an avid gardener and can be found many warm afternoons with her husband Mark chasing pesky pop-weeds (Cardamine hirsuta).